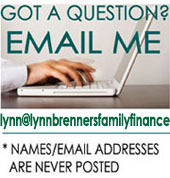 Q: A man and woman, married, are retired, both collecting Social Security retirement benefits. She dies, and he begins collecting on her Social Security, which is higher. Eight years later, the man meets a new woman. Evaluating the good and bad of getting married: Will the new woman, as the widowed man’s new spouse, be able to collect on his current Social Security benefit at his death (which is a survivor benefit from the first wife)? Or will the new woman as the widowed man’s new spouse be required to collect on his own Social Security? A: For goodness sake, let's give these people names!! Fred and Ethel are a retired couple, both collecting Social Security. Ethel dies, and Fred later meets Francine. Okay? You haven’t given me any of their ages. That’s a huge omission, since age is a crucial factor in answering any question about Social Security. I’m going to assume they all started collecting Social Security at their full retirement ages. Bear in mind that if they'd filed for benefits earlier, it would affect all the numbers. Also, please remember that all the benefit amounts I cite in this story are steadily adjusted for inflation as the years go by. I’m just sticking with the original numbers for simplicity’s sake. Eight years later, Fred meets Francine, whose Social Security benefit is $400 a month. Fred and Francine weigh the pros and cons of marrying, including (but let’s hope not exclusively) how tying the knot would affect their respective Social Security benefits. Since Fred is remarrying when he’s over 60, he won’t lose his $2,000 widower’s benefit. What's more, after they’ve been married for nine months, Francine can collect a spousal benefit based on Fred’s PIA. (In case you've forgotten, that's $1,800 a month.) She gets the larger of two amounts: her own PIA or 50% of Fred's PIA. Since her PIA is only $400 a month, she’ll now receive $900. Then Fred dies, leaving Francine eligible to collect as his widow. No, as a widow, Francine cannot collect the late Fred’s $2,000 survivor benefit from his marriage to Ethel. That benefit is only available to Ethel's surviving spouse. Can Widow Claim Social Security After Tragically Brief Marriage? Q: I married my late husband one month after he was diagnosed with stage IV metastatic pancreatic cancer. He was 56 and I was 54. We had been planning a wedding, and it really meant a lot to both of us to be married, knowing his time was limited. We were focused on his illness and treatments, and taking care of his mother who just had a stroke, and did not fully investigate the financial consequences. We married in December 2004. He died a few months later in April, 2005. Since we were only married a short time, I was told I am ineligible for widow’s benefits. We had lived together for six years before we married but didn't qualify for common law marriage status. Since he wasn’t incapacitated over 6 months, he didn't qualify for Social Security disability benefits either. He was self-employed and didn’t have disability insurance; and the life insurance policy he had applied for in good faith was rescinded when his illness was diagnosed just before signing the policy. I lost my job shortly after he died. My previous, ex-husband is 65, but I am told I don’t qualify for his benefit either, as I remarried! I can only find part-time work, and at 62, I don’t have enough to retire on. I am juggling 3 part-time jobs, and not bringing in enough to cover all my expenses, let alone save for retirement. I really need the widow’s benefits until I reach full retirement so I can save for the future and live modestly now. Any ideas? A: Yes. Based on what you say, there's a good chance that you do qualify for a Social Security benefit based on your 65 year old ex-husband's work record. It's true that you cannot claim benefits based on a former spouse's record if you are currently married to someone else. But you aren't currently married. Your eligibility to claim a benefit from your first marriage depends on its duration. If it lasted for at least ten years, you qualify. 1. Your marriage must have lasted at least nine months to qualify you for a widow's benefit. There are exceptions, but unfortunately they don't apply to you. This rule is waived if your spouse was expected to live for at least nine months at the time of your marriage and he died accidentally or while serving on active duty as a member of a uniformed service. 2. The marriage must have lasted at least one year for you to collect a spousal benefit during your husband's lifetime. 3. It must have lasted at least ten years to qualify you for a benefit based on a former husband's work record, during his lifetime or after his death. Your ex-husband is still alive. So if you do qualify for Social Security based on his record, it will be a spousal benefit, not a survivor benefit. Assuming you're eligible, the maximum spousal benefit would be 50% of the amount your ex-husband is entitled to receive at his full retirement age. But you must be 66 years old to get the maximum. (The determining factor is your age, not his.) At 62 you can only claim 35% of the amount he gets at full retirement age; and the discount is permanent. Moreover, at 62 you'll automatically be applying both for your own benefit (also permanently discounted because you're under 66) and for the spousal benefit based on his record. You'll get the larger of the two amounts. Finally, until you turn 66, you'll be subject to the annual earnings cap I wrote about in my last post. The Social Security Administration will withhold $1 of benefit for each $2 you earn above $14,160 a year. All of which is to say that this may prove a more slender financial lifeline than you really need. But a slender lifeline is better than none.